So I’ve been promising this recipe for ages and finally I’ve got round to blogging it! 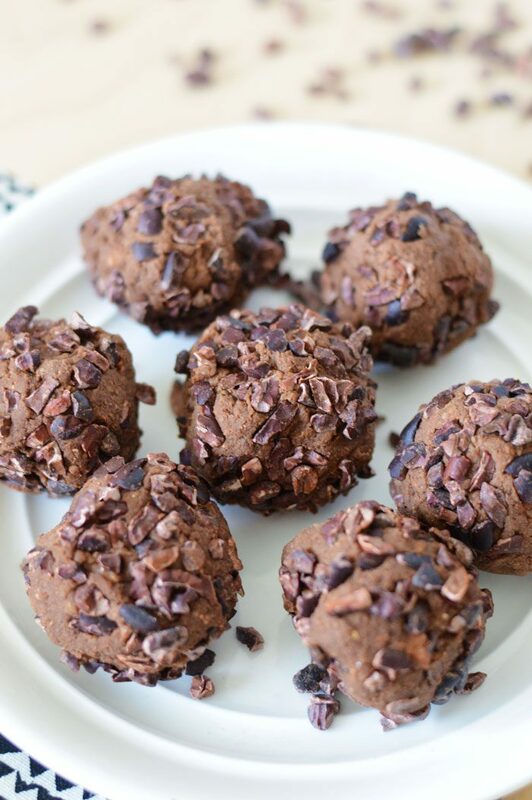 Yep, these are pretty much my homemade vegan version of those utterly delicious Bounce Balls. I’ll be honest, Bounce Balls are delicious, more delicious than these, and I’m not suggesting that you don’t buy them as they are lush! However they are a bit pricey to be eating everyday. These are still a pretty decent version which also happen to be lower in calories, lower in sugar, higher in protein and vegan. Plus they are only a handful of ingredients and really easy to make. 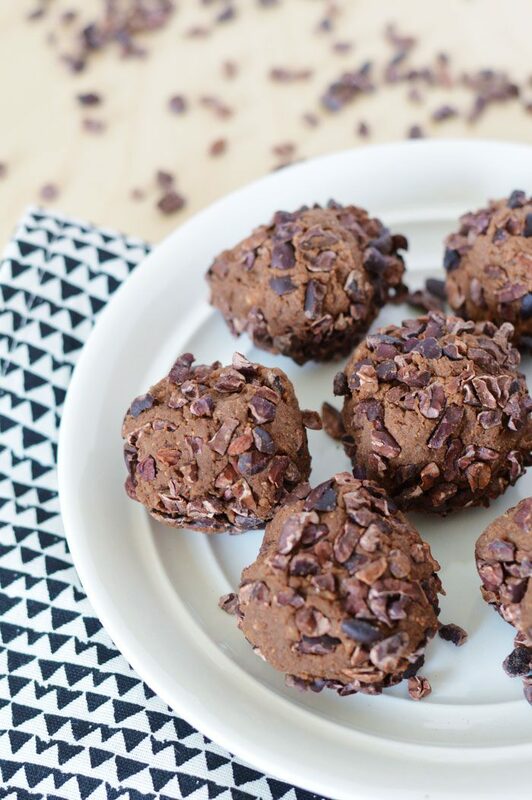 They are ideal for post workout or just a delicious blood sugar balancing snack. To eat on the go, wrap them in some foil. 1. Place the almonds into a food processor and blitz until broken down into small pieces. 2. Add the dates and process again until they have been chopped up quite finely. 3. Add the protein powder, cacao / cocoa powder and sweetener and blitz again. 4. Add the mint extract. 5. With the processor still on, very slowly add a tablespoon of water at a time until the mixture clumps together to form a soft ball. 6. 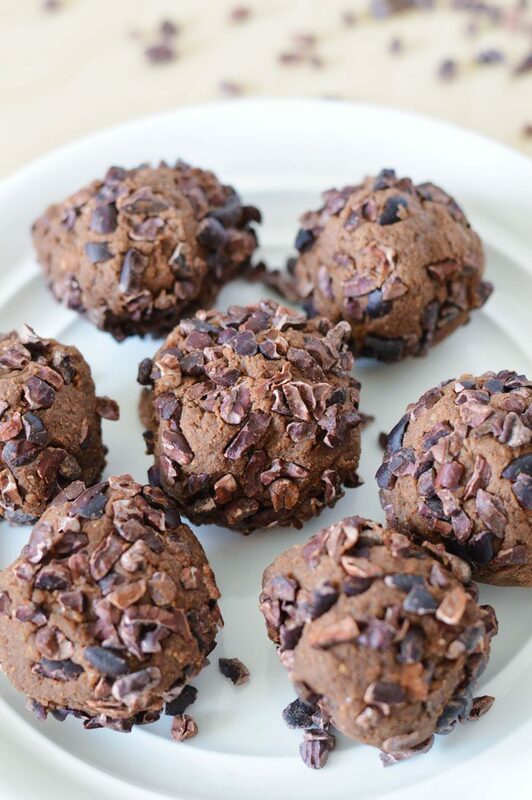 Take lumps of the mixture and roll into balls, then roll in cacao nibs pushing the nibs into the dough so they stick. The balls last well in the fridge but you may find the cacao nibs change texture due to the moisture. Do you like the mint chocolate combo? 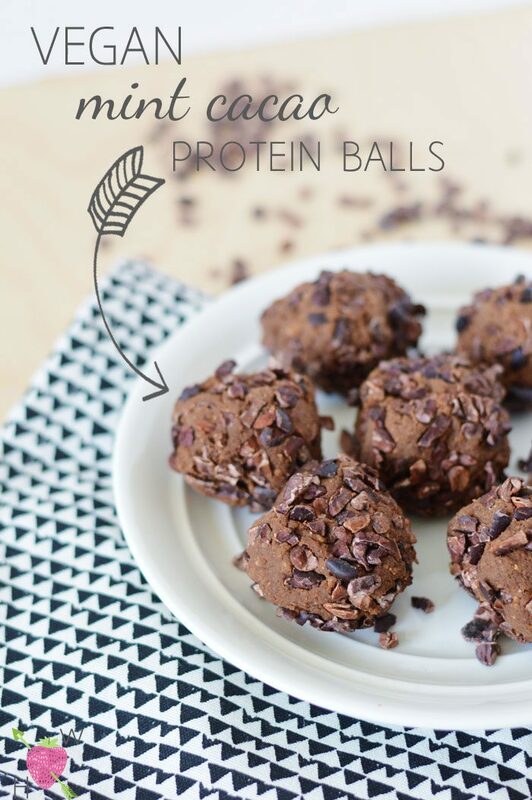 Are you a fan of protein snacks?